Mink lashes are the crème de la crème of the lash world — they provide a darker, more dramatic look than that of the standard premium eyelash extensions. Mink lashes are softer to the touch, and look amazingly natural and glamorous! You've booked the perfect location, selected your favorite flowers and found your dream dress. Now all that's left to do is create a picture perfect look for your wedding day. That's where Allure Lash Studio comes in. 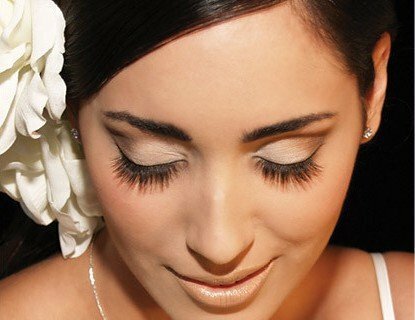 Because we specialize in lashes for special occasions, we will create a stunning wedding day look for you based on your personality and style. After we finalize a look for you, you will never feel or look more beautiful than when you walk down that aisle. And because you won't want to leave out your bridesmaids, we have great deals for the entire bridal party! Call 469.269.LASH (5274) for a free consultation. Also, contact us about special rates for group events such as parties, proms, and special occasions.